(Before reading my post, please note that I’ve updated my graphs page). Interaction and mediation are undoubtedly important factors in language acquisition. Children do not learn their mother tongues simply by listening and repeating. They continuously receive corrections and other types of feedback from adults. Parents instinctually modify the pitch of their voices and their speech patterns to facilitate infant comprehension. They also generally teach vocabulary in a deliberate manner by pointing to objects and carefully enunciating words, eliciting imitation from their toddlers. They model structures and engage in question and answer sessions. Daily, children have the opportunity and the need to test and hone their skills, first at home, and later at school and other environments. This type of human interaction and mediation is not only beneficial, but probably indispensable for one to learn to speak any language, and for a child to learn to read and write in their first language. I would say it is evidently beneficial for acquiring any language skill. However, is it indispensable for acquiring listening comprehension of a new language? Is it possible, without any interaction or mediation, gradually to decipher meaning, isolating words and then figuring out how they are combined and altered to construct sentences? Or is that possible only when one already speaks a related language? In a sense, that is the question my experiment seeks to answer. I will not interact with any Chinese speakers. And nobody will be mediating for me: no teacher, no parent, nobody will modify speech patterns, gesticulate, check if I understood—and if I did not, slow down, repeat, rephrase, clarify. However, my listening is not devoid of context. I assume that if I were simply to listen to audio recordings or Chinese radio for years and years I would never learn. At best, I might become a Mandarin parrot, imitating sounds and even words and sentences, but without grasping their meaning. That is why I am watching videos. Hypothetically, the images provide the context I need to decipher meaning. Interaction between the actors can be considered a proxy—if a poor one—for my own interaction in Mandarin, to the extent that I can project my consciousness on characters and situations and experience them vicariously. There are at least three proxies for mediation in viewing videos. One is simply being previously familiar with the story that is being told—in other words, having added contextual clues. I haven’t yet watched familiar Hollywood movies in Mandarin, as I intend to, but occasionally, familiar themes are presented in Chinese videos, such as in the movie Lost on Journey, which borrows heavily from Planes, Trains, and Automobiles. A second, similar proxy for mediation that I consider far from ideal is the use of English subtitles. I have explained in previous posts that when I download movies that have English subtitles, I am allowing myself to view them. However, I don’t think this is an effective strategy in the long run, since it does not allow me to concentrate fully on dialogue, and thus is distracting. Additionally, if it leads me to develop a mental translation habit, it could be perniciously limiting. In the short run, though, it does allow me to pick up some vocabulary. The third, and probably most beneficial, proxy for mediation and, at some level, for interaction, is watching shows that are made for toddlers. These shows are designed to help Chinese (or Taiwanese) children learn to speak (and read). Therefore, the adult presenters do a lot of the same things that parents do with their toddlers. They speak more slowly, more simply, with repetition and little mnemonic songs. They are not mediating for me, specifically, but they are mediating for small children in general. And, when learning a foreign language, one is analogous to a small child. These shows are also sometimes designed to elicit reactions and repetition by children. These responses do not constitute authentic interaction, but they can be seen as a proxy for them. For these reasons, in a way shows made for babies and small children are the ideal video sources for me or any beginner to learn Mandarin, or any new, radically foreign language. There is only one problem. They are so boring for an adult. This lack of appeal is not only a problem in terms of motivation, but also for engagement and concentration. This show is both very boring to an adult and extremely good for acquiring new vocabulary and comprehension in Chinese (even better than momo). Although I’m not trying to learn script at all, I venture to say it would also be a fantastic tool for someone who was. I watched some this past week and will try to incorporate as much Tiger in my Mandarin viewing diet as I can stomach. Here is an example of a particularly useful episode. The second half is even better than the first. Among other things, you can learn the names of several types of fruit. Happy viewing, and Happy Easter! I am enjoy watching this show-for-kids. 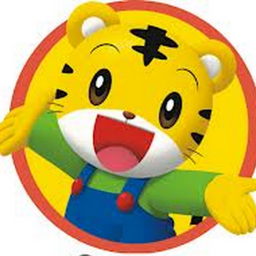 This Qiao Tiger is very educational, we should i import it, thinking about Italy, our kids watch Peppa Pig!! Yeah, I watched a few minutes last night and it is fantastic, at least in terms of beginning Mandarin. I will rewatch that specific episode I posted again and again (over a period of many weeks) and I’m confident I will learn most or all of the body parts and fruits that are mentioned, in addition to picking up or reinforcing several other words, including verbs (“shi” must mean wash or clean), pronouns, numbers, etc. And for you, I’m guessing it is really good for learning or reinforcing simple Chinese characters, isn’t it? couldn’t get on to the movie. Yes, all concerning spoken Mandarin is nice [to me]. Too bad, I can’t read (perhaps It’s feel awkward) traditional characters. Most of the show available (or just easy to find) are from Taiwan and they use classic writing style. Definitely I have to learn the old system soon or later, most of the cool stuff come from that island! By the way, Victor, are you able to receive Chinese tv channel? Like CCTV-4 International. Oh I see, I thought Qiao Hu was produced in mainland and would use the simplified characters. I haven’t really watched Chinese TV, but I believe I can. It’s open, isn’t it? How do you access it? A couple of channels are free available outside China. Like CCTV-X (I can receive 4 and 5), or channels made specifically for abroad. Sometimes they even got Chinese show in English. All you need is a parabolic antenna and right frequency, I guess. I have no clue how channels in Brazil are organized. Luca, how are your Mandarin (and English) studies going? I continue to plug away. I can’t say I have much concrete results yet, but I’m still really enjoying watching films and slowly expanding my vocabulary. I would love to have my father around to watch these videos – I wonder what he would think. His life in China began almost 100 years ago and he might not appreciate modern China. It would be interesting to get his take. Yes, wouldn’t that be so interesting! I wonder if there is some karmic connection. Although I have no actual connection to China now, I’m guessing I will in the future. And my emotional relationship to China has already changed significantly. I think you would enjoy The Road Home and that somehow it would remind you a bit of your childhood and your dad. I’m not sure what part of my blog you’re referring to. Where are you from? Yes! Did you see that I included it in the new banner?